Mastercard is set to roll out its new digital payments system MasterPass, moving into territory currently owned by PayPal. Set to launch first in Australia and Canada, MasterPass is designed to be a digital payments system that can be used for all purchase, both online and in the real-world. In the first phase of its roll-out though, MasterPass will be something online merchants can add to the checkouts of their stores. Down the track, Mastercard hopes to accept payments in stores using any number of data transfer methods, like NFC and QR codes. This builds on the Mastercard NFC-based PayPass system already being used by banks in credit and debit cards. 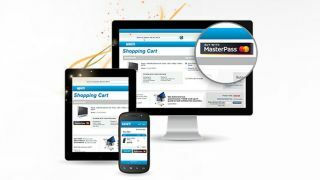 Customers using MasterPass won't need to use Mastercard products exclusively either. The system is set up so that a number of different financial sources can be added to a single account. Over time, Mastercard intends to release the code to third-parties so that these businesses can create their own MasterPass-connected digital wallet. Mastercard is also building a system so that the same functionality can be built directly into phones. Though, the recent partnership announced between rival Visa and electronics manufacturer Samsung prove that Mastercard is already off the pace in this regard. Registrations will open in Australia and Canada by the end of March, with the USA and UK to follow shortly after, before a wider push around the world later in the year.